I have a simple rule in life—if something does not seem to make sense, look for the money. What I mean is that profitability is often the simplest explanation for a decision that might seem to make little or no sense to someone on the outside of a company looking in. How does this rule apply to Google’s messaging mess? Much ink, and possibly much blood, has been spilt over Google’s recent messaging app strategy (or lack thereof). To some, it is a mangled and unfocused mess of half-baked concepts sent out into the world for us to shill to our increasingly impatient friends and family. To others, it is part of Google’s master plan to move the world forward in a big way that most are too naive to see. In my humble opinion, the explanation may be much simpler: To understand the mess, look for the money. What does business case have to do with Google’s inability to get its messaging app mess straightened out? We’re getting there, but that requires an understanding of another bit of business jargon called the business case. At large corporations, significant investments of time and resources usually require the approval of the chief financial officer (CFO). In the case of Alphabet, this person happens to be Ruth Porat, a highly successful and talented businesswoman who not only advised President Obama during the financial crisis of ‘07-’09 but who was also rumored to be a potential nominee for Deputy Secretary of the Treasury. In order to get a business case approved by a CFO like Ms. Porat, little else matters but the bottom line. If the bottom line is a net loss, there can be no justification for approval; if the bottom line is a projected gain, then the conversation can continue. And if the business case is compelling enough, a project can move forward. Edit: A portion of this section has been removed for potential inaccuracies around the concept of fiduciary duty in regard to a publicly traded corporation. -Man. Ed. DR. So what does a compelling business case have to do with a simple messaging app? With the hiring of Ms. Porat and the consolidation of Google’s various business ventures under Alphabet, business lines were brought under increasing pressure to bring their costs in line with their revenues. In other words, a business unit can only receive money if it is making money. Under Alphabet, Google’s messaging platform must justify its contribution to the profitability of the company or, like any money-loser, it must either be reimagined or trotted out back to be put down. With that in mind, let’s take a look at Google’s messaging strategy prior to its consolidation under Alphabet. 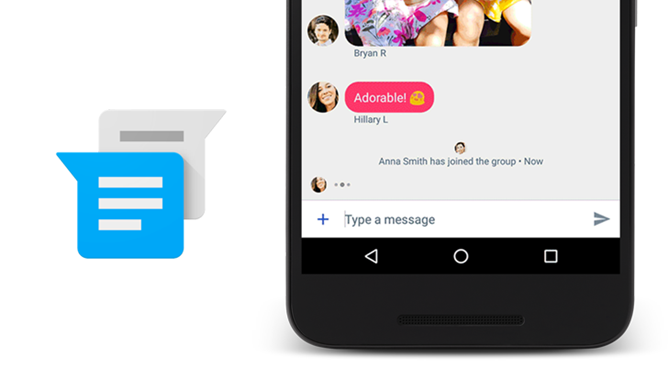 By 2015, all signs pointed toward the idea Google was moving toward a more integrated messaging platform. Two years prior, rumors of “Babel” were rampant and it seemed that Hangouts (though tragically named) would be the platform on which this integration would occur. But what we ended up with was an app that consolidated the instant messaging capabilities of Google Talk and Google+ Messenger with the video chat functionality already offered by the original Hangouts for Google+. Eventually SMS integration was added to the trifecta of instant messaging, video chat, and VOIP and the result was the closest thing to an iMessage for Android as we were going to get. While this may have been near single messenger nirvana (theoretically), in light of what we know now, the question remains: How was this strategy going to generate revenue? 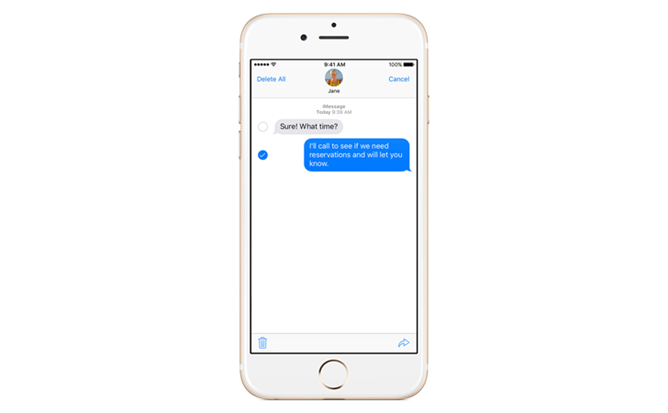 For Apple, iMessage sells iPhones: it is often cited by customers as a reason for their allegiance to iOS. RIM (now Blackberry) made a similar justification when they shot down Jim Balsillie’s business case to make BBM compatible with competing platforms in 2012. The hardware team argued there would be no more reason for folks to buy Blackberries, and we all know how that played out. (Fortunately for Apple, iMessage is not the only reason people continue to buy iPhones, though that's a discussion for another time.) But as I alluded to in a previous column, Google is not a hardware company, it is an advertising company. Google makes its money by surfacing advertisements it deems most relevant to the consumer. It started off with search results, then email, then your phone--each new platform giving Google a little bit more insight into who you are, what you like, and what kind of ads you are more likely to act upon. Knowing this, what is the business case for a merged messaging platform? Where is the money? One potential business case for generating ad revenue from Hangouts would have been to read your private chats and insert recommendations and links to sites supported by Google’s ad platform into your conversations. In my eyes, this would have been a very difficult case for Google to make to the consumer, as it would have been seen as an invasion of privacy into a known entity. Rather, instead of shoehorning the functionality into an app with a notoriously complicated backend and hoping that users would be amenable to the inclusion of this new functionality, it is my belief that Google sought to instead build a new app from the ground up. Not only would this give Google a chance to reframe the chat intruder as an “Assistant,” it would give them a fresh foundation upon which to build out a messaging platform with a revenue driver already in place. 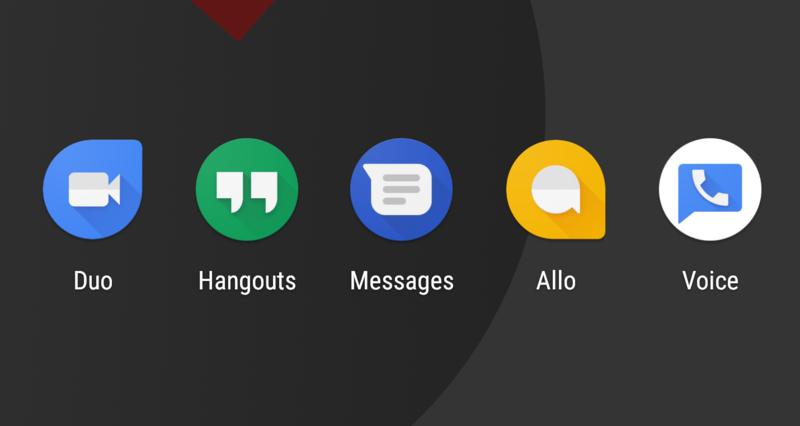 Finally, I feel that the introduction of Allo enabled Google to repurpose Hangouts into a diminished but more focused role as an enterprise chat and conferencing client within the high revenue, low margin G Suite. A money loser on its own, Hangouts is now part of a high earning team. As shady as this sounds, these are very masterfully designed opt-ins and I cannot fault Google for crafting them in such a friendly way. The more information Google gets from your chats, the more relevant content the Assistant can generate for you to click on. The more relevant the information surfaced by Assistant is to you, the more likely you are to click a link to a website that hosts Google ads. The more of these websites you are driven to the more money Google makes which increases profits, and enables them to bring that good news to shareholders. Allo was built from the ground up to earn its keep. Whether it is successful is yet to be seen. Now that we know how Google plans to make money from Allo, why not just build SMS fallback into Allo and call it a day? Well for one thing, most of the world has moved on from SMS and uses the much better over-the-top (OTT) method of messaging that serves as the basis for Allo. Additionally, SMS gives Google zero insight into your personal habits and provides them little opportunity to generate any form of revenue. Even if Google were to build SMS fallback into Allo, it would still require both ends of the conversation to have Allo installed in order to drive the rich messages and site links that drive their revenue model. Therefore from a business perspective I can see little incentive for Google to invest in building a reliable SMS fallback system that serves only a portion of the user base and cannibalizes the revenue model upon which Allo is built. Unfortunately for Allo, not having SMS fallback in North America all but ensures it cannot be successful. In fact, SMS usage has increased in North America and represents almost 75% of all mobile messaging in the US and Canada. The only ones who have ever made money from SMS messages are the carriers and it is clear that they will not give it up unless there is a more viable alternative capable of making them more money than SMS charges. That alternative may already exist in the form of Rich Communications Services (RCS). RCS is a rich messaging standard which many thought would have already replaced SMS by now. Like OTT messaging platforms, RCS is capable of handling the kind of rich communications that would enable a company to indirectly drive revenue by surfacing a link to a partner website, a coupon to make a sale, or the ability to quickly pay off a bill, all within the four walls of the instant messenger. However, unlike OTT messaging services, RCS is dependent on carrier and OEM buy-in and integration to support its proliferation. It is no wonder, then, that it has taken so long for RCS to catch on. However, now that OTT messaging services are showing carriers the compelling revenue models around rich messaging services, slowly but surely they are catching on. Google showed its hand in 2015 when it purchased an RCS platform developer called Jibe. On acquiring Jibe, Android RCS Software Engineer and Minister of messaging Mike Dodd said, “Jibe is a leading provider of RCS services and they’ll continue helping carriers easily deploy RCS to their users.” He mentions carriers for a very specific reason: Because almost nothing runs through a carrier’s pipes unless it’s profitable for the carrier to use it. 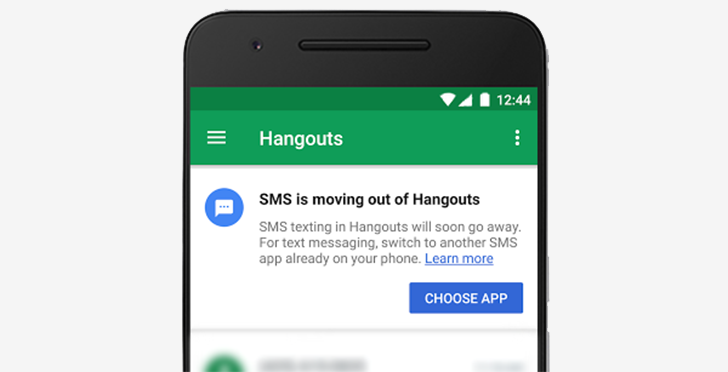 Since the acquisition, Google has worked quickly to build RCS support into the Android Messages App and has begun exerting its influence on weaker OEMs to pre-install it on their Android devices. Now all that’s left is for the carriers to support the universal RCS profile, which is no mean feat. While the big four US carriers are all signatories of the universal RCS profile, and a number of carriers and OEMs have either vowed to implement the universal profile or have at least implemented a proprietary version of RCS, time will tell if the standard takes off or gets stuck struggling in the mire of hubristic competition that has dragged out the long slow death of SMS. From a frustrated consumer perspective, Google’s messaging app strategy looks scatterbrained and impulsive; appearing to make little or no sense. However, from a business perspective, it shows a company actively seeking out new ways to generate revenue, drive its bottom line, and keep its shareholders happy. Abandon Android altogether and switch to iOS or some other niche operating system which won’t have any appreciable effect on Android’s market share. Keep doing what you’ve been doing; keep an app folder called “messaging” on your home screen and continue to piss off your stubborn iOS mates by sending them SMS messages until they download WhatsApp and stop telling you to buy an iPhone. I wish I could end this on a more enlightened note but Google is, at the end of the day, a business - and a business has to make money. And while they remain an impressive and innovative enterprise, I think we as end users falsely expect them to have a robust and seamless solution for everything. Android is a platform, and an open platform at that. 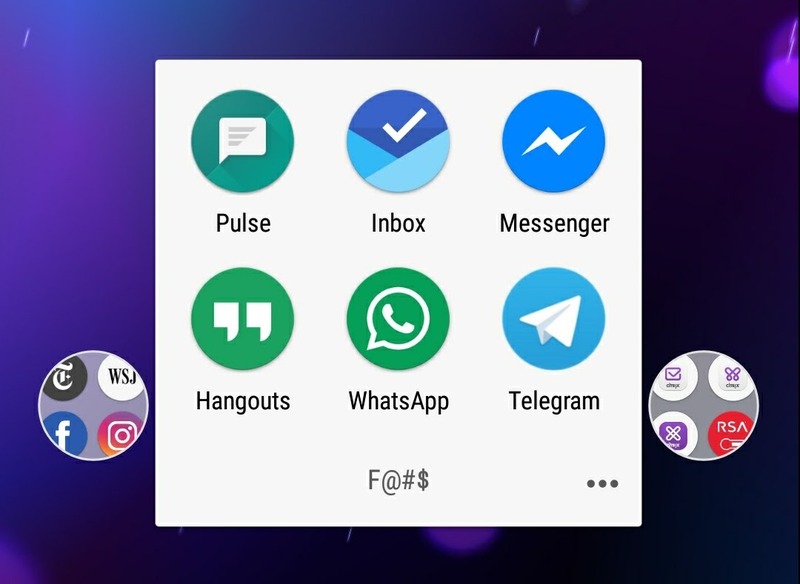 There may be no all-in-one messaging client like there was in the halcyon days of desktop instant messengers and the XMPP (Jabber) standard, but Android as a platform is continually evolving and what the future holds is anyone’s guess. Perhaps then, we will one day look back upon this time with nostalgia as we tell our children’s children about what it was like “back in the day” when we communicated with many messengers and our home screens looked like this.